Genesco Inc. (NYSE: GCO) announced today that it suffered a criminal intrusion into the portion of its computer network that processes payment card transactions for its United States Journeys, Journeys Kidz, Shi by Journeys and Johnston & Murphy stores, and for some of its Underground Station stores. The Company took immediate steps to secure the affected part of its network, believes the intrusion has been contained and is confident that its customers can safely use their credit and debit cards in the Company’s stores. The extent of the intrusion is not known at this time. The Company is conducting a full investigation with the assistance of an outside expert to seek to determine the extent of any possible compromise of customer information that occurred in the intrusion. It is possible that the credit or debit card number, expiration date and card verification code contained on the magnetic stripe of some payment cards used at stores in the affected chains may have been acquired without authorization during the intrusion. The Company currently has no reason to believe that personal information, such as names, addresses or Social Security numbers, was acquired by the intruder. Additionally, the Company has no reason to believe that payment card transactions in any of its e-commerce or catalog businesses, any of its Lids Sports businesses, or any of its Canadian stores were affected by the intrusion. The Company has notified law enforcement authorities and is cooperating in law enforcement’s efforts to identify those responsible for the intrusion. 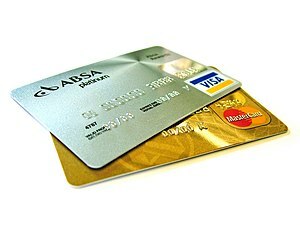 The Company has also notified the major payment card brands and is cooperating in their investigation of the intrusion. Attached is a letter from Mr. Dennis that provides more information about the intrusion and additional steps customers can take to protect their information. The Company has also set up a toll-free hotline at (877) 441-2998 for customers who have further questions. The letter and the toll-free number are available on the Company’s website at www.genesco.com/customerassistance. This release contains forward-looking statements, including those indicating expectations about the findings of the continuing investigation on topics including the timing and extent of the intrusion, and all other statements not addressing solely historical facts or present conditions. Actual events and their consequences could vary materially from the expectations reflected in these statements. A number of factors could cause differences. These include results and effects of the intrusion, including the cost and outcome of our investigation, the results and effects that any breach could have on our customers, our sales and results of operations, and the cost and outcomes of any legal, regulatory or other actions brought against the Company by any private or public parties. Additional factors are cited in the “Risk Factors,” “Legal Proceedings” and “Management’s Discussion and Analysis of Financial Condition and Results of Operations” sections of, and elsewhere, in our SEC filings, copies of which may be obtained from the SEC website, www.sec.gov, or by contacting the investor relations department of Genesco via our website, www.genesco.com. Many of the factors that will determine the outcome of the subject matter of this release are beyond Genesco’s ability to control or predict. Genesco undertakes no obligation to release publicly the results of any revisions to these forward-looking statements that may be made to reflect events or circumstances after the date hereof or to reflect the occurrence of unanticipated events. Forward-looking statements reflect the expectations of the Company at the time they are made. The Company disclaims any obligation to update such statements. Genesco recently became aware of a criminal intrusion into the portion of its computer network that processes payment card transactions for its United States Journeys, Journeys Kidz, Shi by Journeys and Johnston & Murphy stores, and for some of its Underground Station stores. Immediately upon learning of the intrusion, we took steps to secure the affected part of our network. We believe that the intrusion has been contained and are confident that our customers can safely use their credit and debit cards in all of our stores. The Company has notified law enforcement authorities and is cooperating in law enforcement’s efforts to identify those responsible for the intrusion. The Company has also notified the major card brands of the intrusion. The extent of the intrusion is not known at this time. The Company is continuing to investigate the intrusion, with the assistance of an outside expert, in an effort to determine the extent of any possible compromise of customer information. It is possible that the credit or debit card number, expiration date and card verification code contained on the magnetic stripe of some payment cards used at the chains mentioned above may have been acquired without authorization during the intrusion. We currently have no reason to believe that personal information, such as names, addresses or Social Security numbers, was acquired by the intruder. We recommend that customers review their card statements and other account information carefully and immediately notify their card issuer if they suspect fraudulent use. Because we have no reason to believe customers’ personal information was compromised, we do not believe that identify theft is likely as a consequence of the intrusion. Nonetheless, we are providing the Reference Guide below, which details some steps you can take to protect your personal information. For more information or with questions, please call our Customer Information Center at (877) 441-2998 or write to me at 1415 Murfreesboro Road, Suite 490, Nashville, TN 37217. We sincerely regret any inconvenience this attack on our network may cause you. As always, we appreciate your choosing to shop in our stores. Security Freeze. Some state laws allow you to place a security freeze on your credit reports. This would prohibit a credit reporting agency from releasing any information from your credit report without your written permission. You should be aware, however, that placing a security freeze on your credit report may delay, interfere with, or prevent the timely approval of any requests you make for new loans, credit, mortgages, employment, housing or other services. The specific costs and procedures for placing a security freeze vary by state law, but this reference guide provides general information. You can find additional information at the websites of any of the three credit reporting agencies listed below. If you believe that you have been a victim of identity theft and you provide the credit reporting agency with a valid police report, it will not charge you to place, lift or remove a security freeze on your credit reports. In all other cases, a credit reporting agency may charge you up to $5.00 (and in some cases, up to $20.00) each time you place, temporarily lift, or permanently remove a security freeze. Requirements vary by state, but generally to place a security freeze on your credit report, you must send a written request to each of the three credit reporting agencies noted below, which must include the following information: (1) Full name (including middle initial as well as Jr., Sr., II, III, etc. ); (2) Social Security Number; (3) Date of birth; (4) Addresses for the prior five years; (5) Proof of current address; (6) A legible copy of a government issued identification card; (7) A copy of any relevant police report, investigative report, or complaint to a law enforcement agency concerning identity theft and (8) If you are not a victim of identity theft, include payment by check, money order, or credit card (Visa, MasterCard, American Express or Discover only). Do not send cash though the mail. Free Credit Reports. To order a free copy of your credit report, visit www.annualcreditreport.com, call toll-free at (877) 322-8228, or complete the Annual Credit Report Request Form on the U.S. Federal Trade Commission’s (“FTC”) website at www.ftc.gov and mail it to Annual Credit Report Request Service, P.O. Box 105281, Atlanta, GA 30348-5281. The three national credit bureaus provide free annual credit reports only through the website, toll-free number or request form. When you receive your credit report, review it carefully. Look for accounts you did not open. Look in the “inquiries” section for names of creditors from whom you haven’t requested credit. Some companies bill under names other than their store or commercial names. The credit bureau will be able to tell you when that is the case. Look in the “personal information” section for any inaccuracies in your information (such as home address and Social Security number). If you see anything you do not understand, call the credit bureau at the telephone number on the report. Errors in this information may be a warning sign of possible identity theft. You should notify the credit bureaus of any inaccuracies in your report, whether due to error or fraud, as soon as possible so the information can be investigated and, if found to be in error, corrected. If there are accounts or charges you did not authorize, immediately notify the appropriate credit bureau by telephone and in writing. Fraud Alerts. To protect yourself from possible identity theft, consider placing a fraud alert on your credit file. A fraud alert alerts you of an attempt by an unauthorized person to open a new credit account in your name. When a merchant checks the credit history of someone applying for credit, the merchant gets a notice that the applicant may be the victim of identity theft. The alert notifies the merchant to take steps to verify the identity of the applicant. You can place a free fraud alert on your credit report by calling any one of the toll-free fraud numbers provided below. You will reach an automated telephone system that allows you to flag your file with a fraud alert at all three credit bureaus. You can also place a fraud alert on your credit report online at the websites listed below for Equifax and Experian and via email for TransUnion at fvad@transunion.com. Police Report. If you find suspicious activity on your credit reports or account statements, or have reason to believe that your personal information is being misused, contact your local law enforcement authorities immediately and file a police report. You have the right to request a copy of the police report and should retain it for further use, as many creditors want the information it contains to absolve you of potential fraudulent debts.